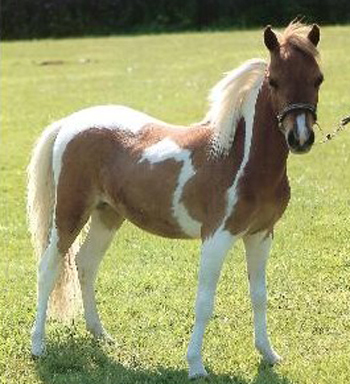 Miniature horses come from English and Dutch mine horses that were imported to the Americas in the 19th century for use in coal mines in the Appalachian mountains. 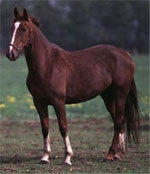 Their bloodlines draw from many sources, initially it was mainly Shetland and Dartmoor stock, and later the Americans crossed them with Hackney, POA and Thoroughbred blood for refinement and size. 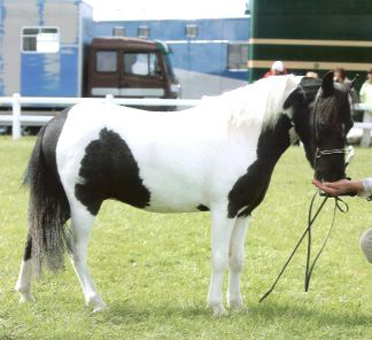 In 1978 the American Miniature Horse Association was formed to protect and document the American Miniature horses as a distinct breed. 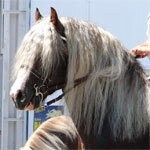 Only animals within the required size guidelines and proper confirmation were allowed to be registered. 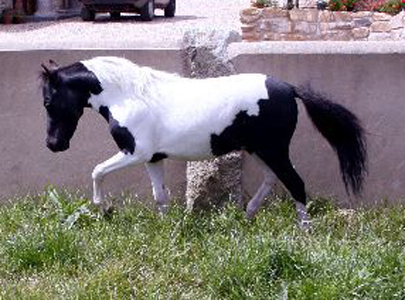 Due to the different bloodlines there are several different types of American Miniatures. 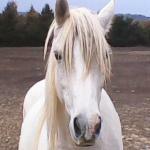 The main two are Arabian and Draft. 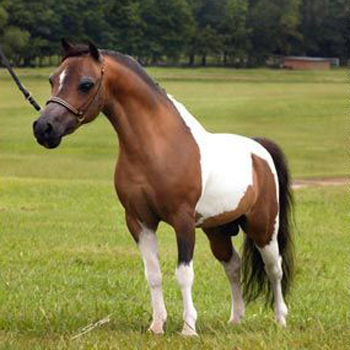 Physical characteristics will vary, animals are registered based on height and well-proportioned confirmation.